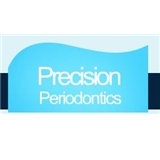 Precision Periodontics NYC (Bayside) - Book Appointment Online! Dr. Irene Bokser is one of the best doctors I have ever visited. I love her work and her professionalism. She has saved and treated my teeth and gums. One thing I would recommend to everyone, myself included, is to take maintenance of our teeth seriously and do all the follow ups. I always talk about her to my friend and family. I have not enough praise for her. I highly recommend her to everyone.